1. Edit texture or any other text fields in any webpage. This extension automatically transfers your changes when the generated temporary file gets saved. You can have as many simultaneous editors as you would like. The extension will keep track of these editors for you. Important note: To use this extension you will need to have a VIM instance that supports GUI (works without a terminal emulator). 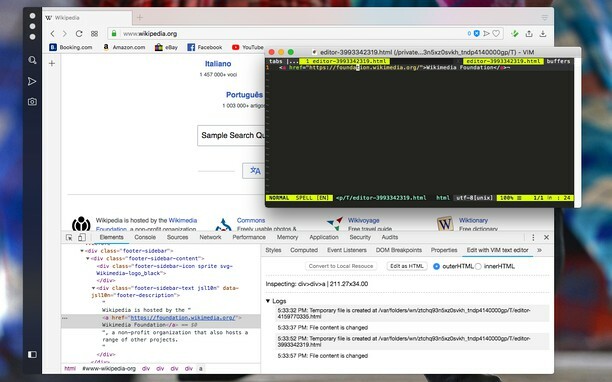 By default, the extension uses MacVim on Mac and gVim on Windows and Linux operating systems. Note: To use this extension you will need to install a small native wrapper which allows the extension monitor file writes. You will get the notification about how to install this wrapper on the first usage.